Samsung launched their new device in their legacy Galaxy series named Samsung Galaxy J3 Pro. On 4th April 2017 Samsung added new member to their Galaxy J series called Samsung Galaxy J3 Pro exclusively with Paytm. This time Samsung has opted their model to be compete with lowe middle range of device in the market. The device is priced at 8490/- INR. Samsung Galaxy J3 Pro will be available in three colour options of gold, black, and white and will be exclusively available on Paytm Mall from April 6, 2017. Display : 5 inches HD Super AMOLED Display with 1280x720 pixel resolution. Processor : 1.5 GHz Quad core Qualcomm MSM8916 Snapdragon 410 processor. Camera : 8 MP, f/2.2, autofocus, LED flash Geo-tagging, touch focus, face detection, HDR,1080p@30fps with 5MP front facing problem. Battery : 2600mAh removable battery. 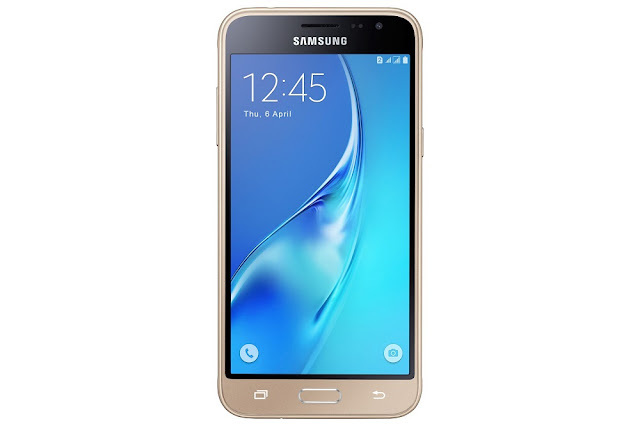 "This is the first time Samsung is launching an online exclusive product, Galaxy J3 Pro, on Paytm Mall. Galaxy J3 Pro delivers powerful performance, outstanding display and also packs in consumer centric features developed at our R&D centers in India. This launch will give Paytm Mall consumers the opportunity to buy ‘Galaxy J Series’ which is the largest selling range in India." "The Galaxy J3 Pro is an innovative product with incredible technology that comes at the most affordable price in its category. Our partnership with Samsung will help us bring this superb smartphone to the masses"
This is all about Samsung's latest release in their product lineup. Share your opinions and views in comment with us. Stay tuned for more. Thank you for reading.